Christmas is a holiday that is more than a day – it has morphed into an entire season. Shopping, special events, gift giving, social obligations and more can overwhelm the best of us. How do you keep the potential clutter of the season at bay? Applying a little Feng Shui wisdom to the holidays can help to smooth out the flow for everyone. In Feng Shui, everything has energy and the vital Ch’i in every item or space we encounter impacts our personal energy. Therefore, Feng Shui asks us to Live With What We Love, things that bring us joy. The energy in the items we cherish resonates more fully with us and creates an enhanced Ch’i flow in our lives. Placing this foundation principle front and center during a season of potential traditions and obligations can go a long way to helping us all more fully enjoy and embrace the meaning of the season. Here’s a few practical ways to apply this principle as well as other Feng Shui perspectives to your Christmas activities. 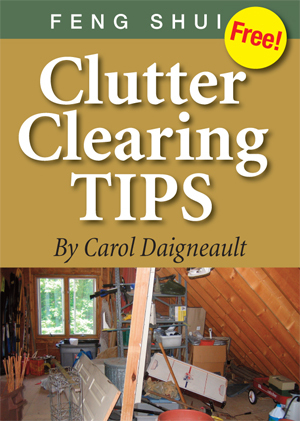 For a quick reference on a simple system for physical clutter clearing, check out my free download, Feng Shui Clutter Clearing Tips. It outlines step by step a procedure that will allow you to clean up any of the areas listed below with minimal effort. Preparation and planning are an integral part of clearing the clutter at any time of year. Our schedules are often so full during the holidays that the thought of major clutter clearing is out of the question. It is, however, a good time for some strategic sorting and culling that can free up space to move Santa’s treasures out from under the tree so everyone can start to enjoy them. Your Christmas decoration bins, lights, yard ornaments, etc. What tradition does your family have regarding gift giving? Do you feel obligated to give when your enthusiasm for the exchange has faded? 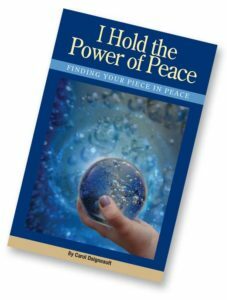 If so, consider these new ways to recharge the Ch’i energy transfer that gift giving can provide. There are many ways to modify your gifting approach. This year I’m thrilled that both my sons, their families and my Mother will be joining us for the holidays. Among us all were a variety of ideas on how to handle the presents. Our gift exchange this year is a small stocking stuffer under $10. After some lighthearted discussion all parties settled on a consensus. We agreed that we can all indulge on our grandson’s behalf, (there’s just one little one so far) but we are limiting ourselves to a single, small stocking stuffer under $10 for each adult. This approach provides variety and attention to each individual while taking into consideration that the grown ups have more than enough “stuff” already and a small amount of space in the return flight luggage. Another way to refine Santa’s impact is picking a single name from a hat. This is a viable suggestion that includes everyone without overwhelming people’s time or pocketbooks. Each person simply buys for one other person, then they also receive a gift from whomever drew their name. A fun twist on this approach is to apply additional criteria such as deciding gifts should be handmade or purchased secondhand. One of the most hilarious gift exchanges I’ve ever had was with a group of my girlfriends and their spouses. We could only regift an item we had around the house, with the suggestion it be something we’d really rather not have any longer. The first season DVD of a television series, a bowling ball and a garden tool no one had any idea how to use were more easily discarded or donated by the recipients than the givers. Clutter clearing was made much more fun! There is a unique and special energy exchange when you regift a precious item or heirloom. You can also regift more desirable items. Passing a new or lightly used item you already own on to another in place of purchasing something, regifting has become much more acceptable in recent years. It not only supports the environment and reduces consumerism but is a practical way to clear the clutter. I have seen regifting become particularly appreciated when a family heirloom or sentimental item is given during the holidays. One year my boys received a personal item from their grandmother that she had inherited from their great, great grandparents. It was very special. Any gift can be loved by one and not by another. So, your gifts are all purchased and under the tree. You’re in a harmonious Feng Shui space, happy and excited for the big day. You open your first gift, and it’s absolutely the most hideous thing you’ve ever seen! The giver has obviously not read this blog post. Now what? I suggest you rise above this temporary blast of unsettling Ch’i and regroup. Unlike a relative of mine who literally threw an expensive sweater in my face with the demand, “Take it back, it costs too much!” I recommend a polite thank you so everyone can move on gracefully. A few days later, reevaluate and decide your next move. Everyone is different, and some folks are just more adept at selecting presents for others. All of us must, however, spend our money, time and energy to provide their offering, so remembering and appreciating that effort can help. Pack up and store any gifts you don’t love. Revisit them in 9-12 months and either use or pass them on. There are certain members of my family who are so into clutter clearing it is a spoken rule that there is no obligation to keep a gift, at any point, that no longer serves any one of us. When you feel this isn’t your situation, pack the item up or put it out of sight and wait a bit. If the giver doesn’t inquire about the gift in 9-12 months, consider passing it on. You can go ahead and clutter clear previous years’ gifts now to build the courage to stand firm and establish this new precedent. Have you identified any strategies to help you clutter clear your Christmas season? 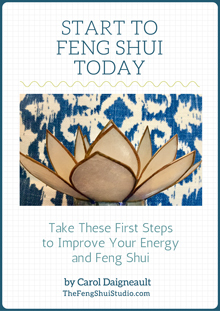 When you know specifically what you love – whether it is what you purchase, what you do or how you give – and act on it, the quality of Feng Shui Ch’i energy you experience improves. Want more Feng Shui Holiday Season tips? My posts on Feng Shui for the Holidays, Feng Shui Your Outdoor Holiday Decorations and Feng Shui Your Christmas Tree (or Menorah) are loaded with ideas. Please share your holiday preparations and experiences with us. Adding a Feng Shui perspective to your mix can provide that extra measure of good energy you need to move forward with greater grace and balance to have the best holiday season so far. I’m so interested in. I only found you this morning. Thank you for participating! Let me hear how your Bagua Map application goes. Siri, sometimes a new door might take over and dominate the structure in a way that it obviously becomes the front door. If your original front door was quite small and modest with no overhangs or large deck or porch to accentuate its importance, this may be the case. Another thing you can do is apply the Bagua Map twice, once with each door on the bottom of the map. Evaluate the map and see which application applies most accurately to your present life’s patterns. Does this help? I loved your take on clutter clearing Christmas! Very helpful and encouraging as I try to pare down so I can enjoy the Spiritual side of Christmas. Great! So glad you found it useful Judy. It is a focus that can be shifted to other times of year as well. Enjoy your holidays!